On August 5, 2017, at the Pritchard Farm in Ormstown, the Expo Moto ACMA (Montréal) CVMG Rally took place. The Canadian Vintage Motorcycle Group has again raised funds for a variety or charities. 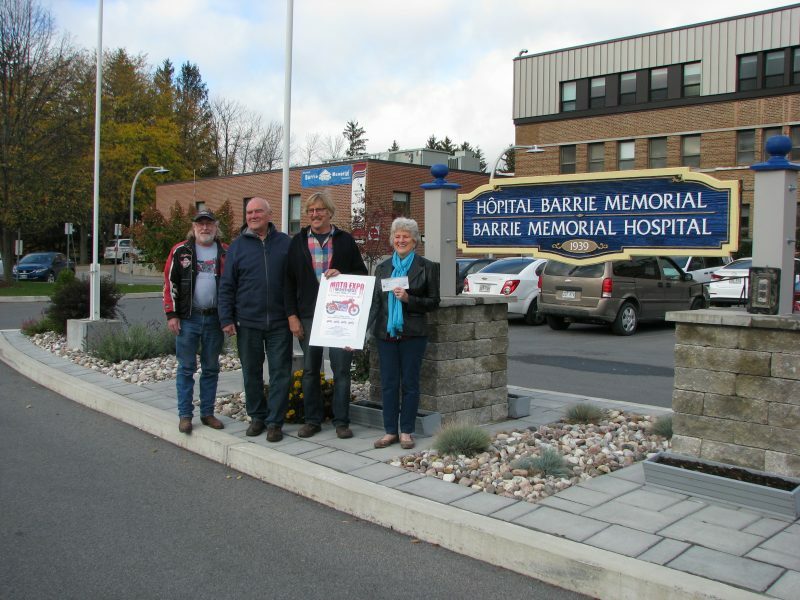 The Barrie Memorial Hospital Foundation has been, and continues to be, one of those charities. A cheque in the amount of $2,000 was presented to Madeleine Greig, Chair of the Hospital Foundation, by some of their members from left to right, Gary Stewart, Bill Magnussen, and Bert Pitt.